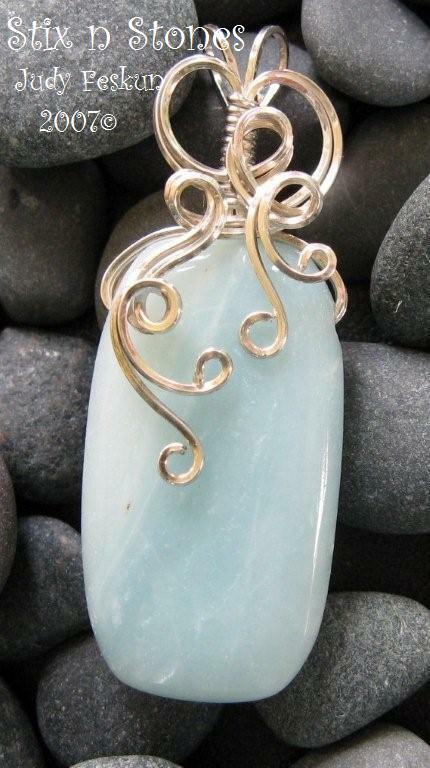 This pale aqua stone with its beautiful watery markings makes this piece perfect for the upcoming season. You are very inspiring. Your work is the most beautifully expressed peices I’ve ever seen in my life. I know I won’t be able to take any classes from you because I am in California, but I felt compelled to write. Your work is absolutely breath taking and is a definate gift of creation.